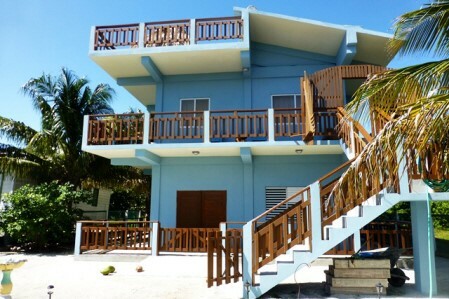 We are happy to offer you a chance to own this lovely island home(s)that comes with rental opportunities too! 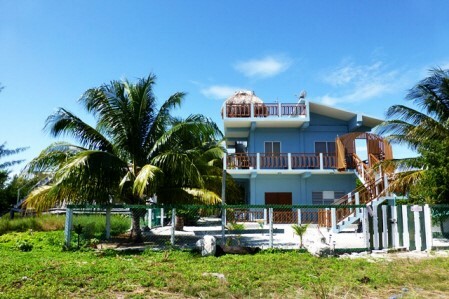 Located on the North Island of Caye Caulker, the property is only one lot and a road from the water and therefore offers beautiful views of the Caribbean sea and benefits from the cool Caribbean breezes! 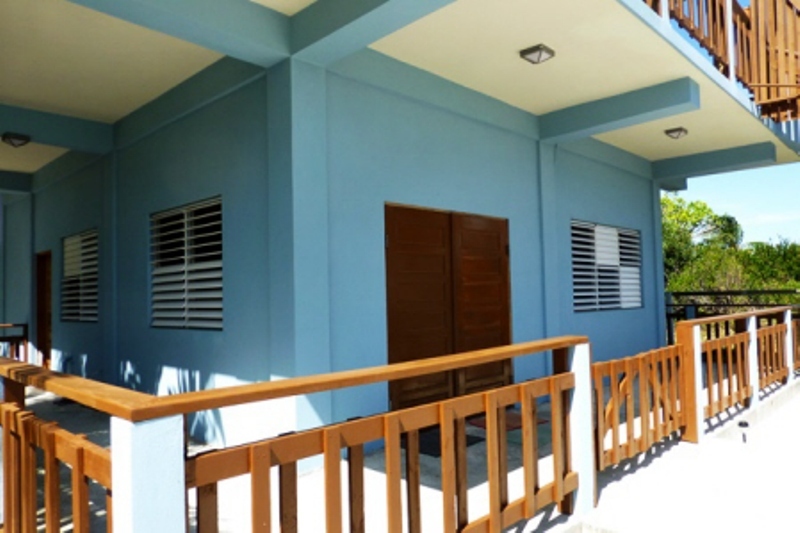 The three leveled cement property offers a one bedroom unit on both ground and second floor levels and stylish wrap around verandas compliment the exterior. 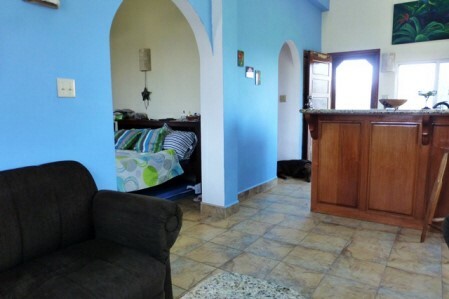 The upper unit is where the owners currently live and comes fully furnished. The open plan kitchen/living area is nice and airy due to the many windows and vaulted ceiling and cool tiled flooring throughout. A breakfast bar separates the living and kitchen area. 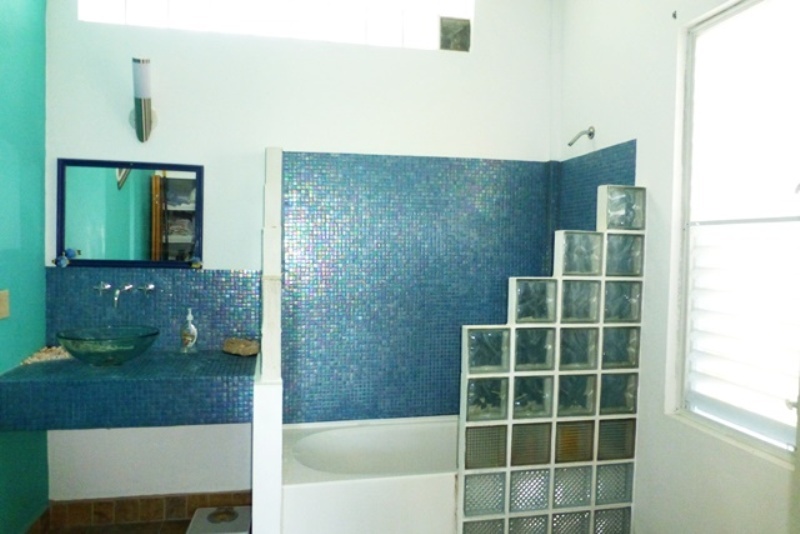 The bathroom is also spacious with a large shower unit walled with glass blocks and mosaic tiles. 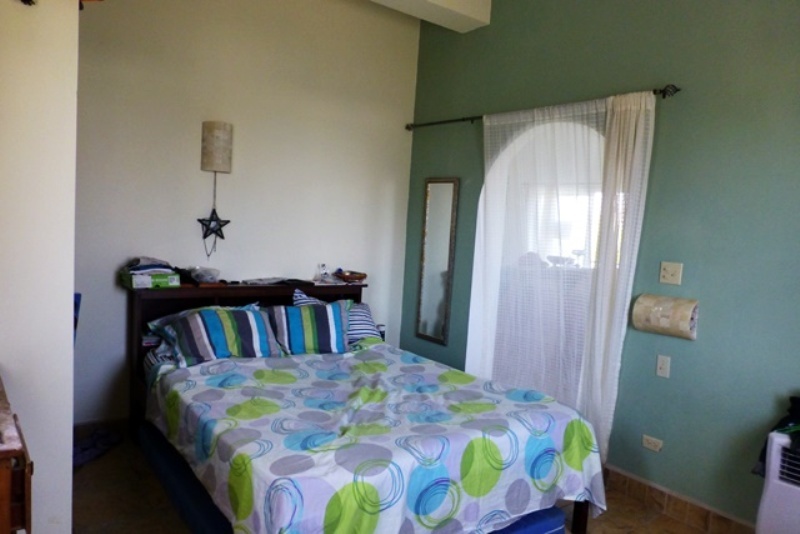 The bedroom is just off the living area and has an a/c unit installed which is not required when the windows are open! 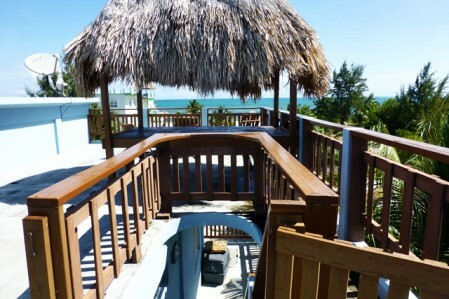 The top level rooftop area gives you stunning panoramic views of the entire island and you get to see both the sunrise and sunset while relaxing up here on the hammock under the shady palapa! The ground floor one bedroom unit is semi furnished and to the front is the store/business area(with the option to be turned into a 2nd bedroom) with a counter and glass display cabinet and a double door shop entrance. 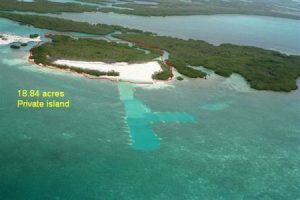 The North island of Caye Caulker is up and coming and there are currently ample opportunities waiting for anyone who wants to start the first dive/snorkel store or any type of shop over this side. 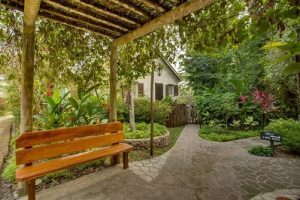 The property has recently been hooked up with electricity provided by BEL, the local provider, as have the other homes in the area. Water connection will be available within a few months, but for now the property has ample water supply from the well and rain water catchment. 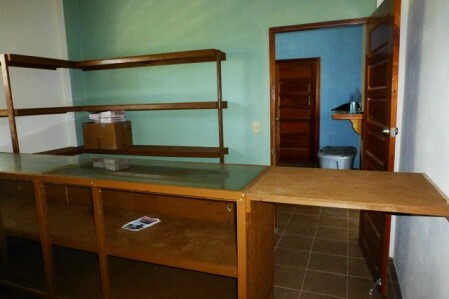 The property size measures 75ft x 90 ft and is well maintained and fully fenced. 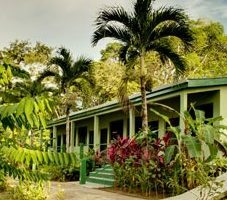 The many scattered palms and sandy ground gives this home a true tropical, island feel!